What are the reservation policies? Late check-out till 2:00 pm is at no additional cost if you have lunch at Tambo Ilusi�n. If not, the late check-out fee, between 12:00 and 6:00 pm is 10 USD per person. Please let us know your plans the day before your departure. The rates indicated are valid for a minimum of two guests. If you are traveling alone, contact us to consider the possibility of joining a group or for the price of a private retreat. To confirm your reservation, a deposit of 50% of the cost of the chosen program is required as well as filling out and returning the registration form that we will send you. Deposit are made via bank transfers or via PayPal. Important: You are responsible to cover the total bank transfer fees (charged by your bank and the bank receiving the money in Peru). The bank here charges 19 USD (fixed cost) upon receiving the money transfer. This amount and the balance due are payable in USD upon arrival at Tambo Ilusi�n. Taxes are included. Gratuity is not included. Children under 2 years old stay for free when accompanied by two adults and sharing the parents' bed. No food (fruit, cookies...) or candy is permitted in the rooms as they attract insects and animals. All facilities on the property are non-smoking areas. - In case of cancellation the deposit is not refundable but it is transferable. - No discount or refund will be given for late arrivals or early departures. - Any changes to a confirmed reservation involves a charge of 10 USD. Tarapoto is the main gateway to the northeastern jungle of Peru, at an altitude of 356 meters above sea level located at a latitude of 06�27 �South and a longitude of 76�23� West. 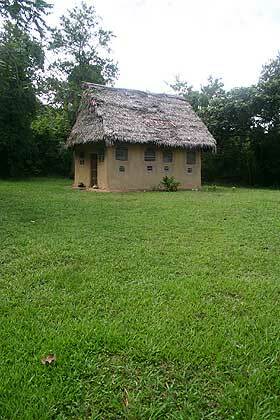 Located in the San Mart�n province of the San Mart�n region, midway between the high jungle and the Amazon plains. See Amazon Rainforest. Tarapoto is linked to the Upper Amazon and the historic city of Yurimaguas by a relatively well-maintained newly paved (2008�2009) "Trans-Andean" highway. The city is located in the valley between the rivers Mayo and Ahuashiyacu and is the center of the terrestrial networks and of the areas between the mountains, the coast and eastern Peru. Tarapoto is the main tourist hub of this part of Peru and is often used as a "jump off" point for excursions into the vast Amazon rainforest where diversity in species reaches its maximum expression such as in Tingana and Pacaya Samiria national reserve and for tours of the North East of Peru including the Chachapoyas culture in Amazonas with its fascinating but not well known archaeology and history, the Gran Vilaya ruins and the Kuelap fortress (Machu Picchu of the North). Furthermore, beautiful landscapes, amazing waterfalls, lagoons, orchids, adventure tourism such as river rafting and hiking in the tropical Andes and bird watching attract numerous visitors to this area. ACP Tambo Ilusi�n is located in the Banda de Shilcayo district which is at the eastern limit of Tarapoto city. We are near the waterfalls of Ahuashiyacu, a main attraction of the area. How to get to Tambo Ilusi�n? The most common way of getting around the city is by moto-taxi. Before hopping into a moto-taxi, make sure that it is not too noisy. Moto-taxis are a problem in many cities of Peru. There are too many of them and many drivers have part of the muffler removed which is illegal. Please act like a responsible traveler by choosing a driver that respects that law, the environment and the community. If you hire a ride pre-negotiate the price. Local people can give you an idea of the rate. There have been cases of drivers charging abusive rates to unsuspecting tourists. Tarapoto is connected by air to Lima. The flight takes one hour and fifteen minutes. The distance separating both cities is 618km (384 miles). There are four airline companies that fly daily to Tarapoto: www.starperu.com, www.lan.com, www.peruvian.pe and www.taca.com. The flight from Iquitos to Tarapoto takes one hour. Star Peru and LAN offer this route daily. There is a 3 day boat ride Iquitos - Yurimaguas on the Huallaga, Mara��n and Amazonas rivers. Click here to read some entries from different bloggers about their trip on the river. Once in Yurimaguas, take a bus to Tarapoto (a 2.5 hour ride). You may ask the driver to drop you off at Laguna Venecia (at the km 2.5 mark) and take a mototaxi to ACP Ilusi�n or walk (1km). Getting to Tarapoto by bus from any town north of Lima along the Peruvian coast is relatively easy. Peru is currently a very popular travel destination so we suggest booking early for international flights (to Lima, the capital) and domestic flights. A passport valid for a minimum period of 6 months from the date of entry to Peru is required for all foreign visitors. An entry visa is not required for Canadians and Americans. Please inquire with the consulate about entry requirements for other nationalities. Airport taxes and fees are now included in the price of the tickets for international as well as domestic flights. What currency to use in Peru? Bring US dollars (it is best to bring new bills as old bills are frowned upon) to Peru as changing currencies other than US dollars can be difficult and expensive. Change your money to "nuevo soles" once in Peru. At the Lima airport, there is a money exchange booth in the international baggage claim area where you can change enough money to get by until you get to town. The exchange rate varies but is approximately 1 USD = 2.75 soles (PEN). In Tarapoto, 15 minutes from Tambo Ilusi�n, there are banks and ATM machines. Peruvian ATMs dispense both the local currency (nuevo soles) and US dollars. By the main plaza of Tarapoto, there are people ("cambistas") who change currencies. They give a much better exchange rate than the banks do. In Lima, you can find "cambistas" by Kennedy park in the Miraflores district. These "cambistas" are legal but be careful anyways. Tipping in Peru is not required but always greatly appreciated. How to protect myself from mosquitoes? It is recommended to wear long-sleeved, light colored, loose fitting shirts and pants, especially at the end of the day when mosquitoes are more active. When going into the forest, one must be well protected against mosquitoes. Wear clothing that covers most of your body, keeping as much of your skin covered as possible. Always carry insect repellent (organic if possible). Mosquitoes are attracted to body odor (sweat) so practice good personal hygiene and avoid using perfumes. 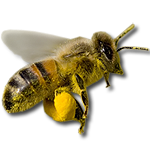 We recommend that you to bring an after bite cream, preferably natural, like Burtsbee's Bug Bite Relief or Tiger Balm. As Peru is close to the equator, the first advice is to protect yourself from the sun, even on cloudy days, with high SPF sunscreen and lip balm, UV protection sunglasses and a hat. Wearing long sleeves is a good idea. Be especially careful when travelling by boat and in open vehicles. A serious sunburn could ruin your vacation. To avoid heat strokes, protect yourself from the sun and drink lots of water. Avoid drinking unfiltered or unboiled tap water. Avoid ice cubes as well, unless you know that they are made from purified or boiled water. It is wise to start taking a strong probiotic supplement a month before your trip and to take travel-ready probiotics with you on your trip to help boost your immune system and support your digestive system to reduce the risks of contracting traveler's diarrhea. As for insect-borne diseases, the incidence of malaria, dengue, yellow fever and others in Tarapoto and surrounding areas is extremely low. There are no required vaccinations for Peru but if you plan to see a doctor or a visit a travel clinic, do so at least six weeks before your departure in order to determine what boosters or immunizations you will need. Hand hygiene is of paramount importance. Wash your hands often: before meals and handling food and after using the toilet. In the absence of water or soap, you can use a sanitizing gel. In the jungle heavy rains may fall at any time. The average annual precipitation is of 1157 mm (46"), the rainiest months being February, March and April. It's hard to say when is the best time to visit the jungle of San Mart�n as each season has its attractions. The rainy season shows a forest in all its green splendor and the wildlife is more active than ever. Lima is on the coast. From April to December it is very humid and temperatures may drop below 15� C (59� F). You will need long pants, sweater and a jacket. From December to March, the climate is beautiful and warm where temperatures don't reach over 30� C (86� F). All year round, the sun rises at around 6:00 am and sets at around 6:00 pm. Earplugs and eye mask (in the jungle, there is a constant auditory backdrop formed by the chorus of birds, insects, frogs... which is a soothing melody for most but we recommend earplugs for light sleepers). Rain gear (rubber boots are practical in rainy season). Toiletries (please try to bring only biodegradable soap and shampoo if possible)(ladies, if you anticipate needing tampons, pack some as they are not easily found here). Yoga Vacation participants should also bring an alarm clock, journal and pens. ACP Tambo Ilusi�n provides yoga mats but you may bring your own if you prefer. You might also want to bring music instruments, coloring pencils and other art material. Only bring what is necessary. In Tambo Ilusi�n, we practice the 3 Rs (reduce, reuse and recycle) as much as possible. We separate the organic waste from the inorganic. The organic goes to the compost. With the inorganic, it is more complicated as the municipality does not pick up the trash in our area and does not recycle. We must take the trash to the city so please help us by not bringing things that you don't plan to take back with you (except good books....!). We encourage guests to let go of the outside world for a few days. There is internet service in Tarapoto, which is 15 minute away by mototaxi (or 45 minutes walking). At Tambo Ilusi�n, there is limited access for emergencies only. Yes, we accommodate groups (yoga, diets with master plants,...) . We can help you create your own special experience. Please, E-mail us for more information.